← What Can (and Can’t) a Deacon Do? Why is a Catholic Permitted to Marry in an Orthodox Ceremony? A: Emma’s confusion is completely understandable. She knows that when Catholics marry, they are required to observe canonical form, which means that the parties must marry before the bishop, the pastor of the parish, or a priest or deacon delegated by either of them (c. 1108). As was discussed back in “Can a Catholic Ever Get Married in a Non-Catholic Church?” a Catholic who wishes to marry a non-Catholic in a non-Catholic wedding ceremony—for the sake of maintaining peace with the non-Catholic in-laws, for example—must first obtain a dispensation from the diocesan bishop. (See “Marriage Between a Catholic and a Non-Catholic” for more on dispensations.) If a Catholic marries in a non-Catholic wedding, without getting a dispensation in advance, the marriage is invalid. But there is an exception to this canonical rule: as canon 1127.1 notes, if a Catholic marries a “non-Catholic party of eastern rite,” the canonical form of marriage is to be observed for liceity only. What does this mean? In a nutshell, if a Catholic marries an Orthodox, in an Orthodox wedding ceremony, the marriage is valid—although illicit—even if the Catholic didn’t bother getting a dispensation in advance. So long as the marriage was celebrated properly in the eyes of the Orthodox Church— i.e., using the correct Orthodox form of the sacrament, in the presence of an Orthodox priest—the Catholic is really married, unless of course there is a separate issue affecting the validity of the marriage. At first glance, this exception may seem completely arbitrary! Why does the Church recognize the validity of marriages of Catholics who marry in Orthodox weddings, but not Baptist or Lutheran ones? Why is a Catholic not married in the eyes of the Church if he married in, let’s say, a Methodist ceremony without a dispensation—and yet the Church considers him married if the ceremony was Orthodox? Theologically, there is actually nothing arbitrary here at all. On the contrary, the Church’s position on Orthodox wedding ceremonies is totally consistent with its theological understanding of the status of the Orthodox Church. Let’s take a brief look at the history behind the Catholic Church’s view of Orthodoxy, and the situation should become clear. The Orthodox—including Greek, Russian, Romanian, and other national groups—broke away from Rome nearly 1000 years ago, but the Catholic Church considers them to be schismatic rather than heretical. 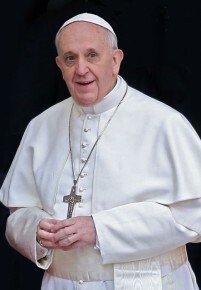 Canon 751 defines “schism” as the withdrawal of submission to the Pope, or from communion with the members of the Church who are subject to him. Orthodoxy fits this definition, as it denies the jurisdictional primacy of the Bishop of Rome over the entire Church; but this does not bring with it a denial of the Church’s teaching on the sacraments. Put differently, the Orthodox rejected the idea that the Pope is the hierarchical superior of all the clergy—but they didn’t reject the Catholic understanding of theological concepts like the priesthood and the episcopacy. 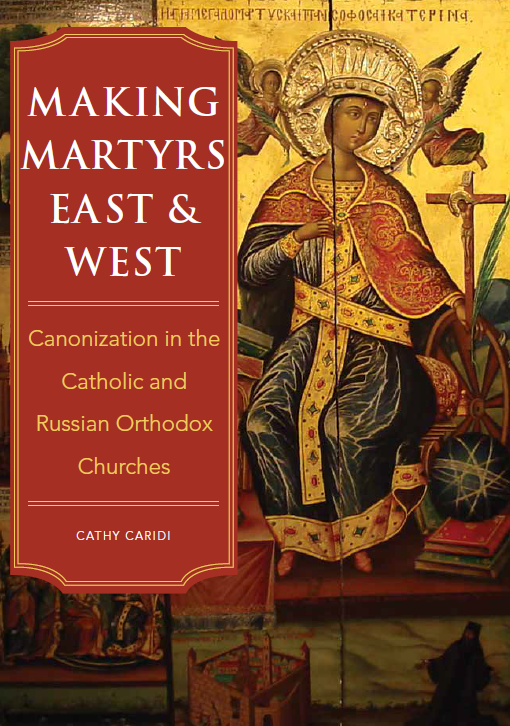 Throughout history the Orthodox have consistently maintained the apostolic succession of their hierarchy, meaning that their priestly and episcopal ordinations are valid; and their validly ordained clergy have continued to administer the other sacraments validly as well. Externally, their rituals appear to be radically different from those of us Latin Catholics, but the Orthodox theological understanding of the sacraments is substantively the same. The Mass (which they refer to as “Divine Liturgy”) is really a Mass, the Orthodox clergy really absolve penitents in confession, etc. This logically means that the Catholic Church acknowledges that Orthodox clergy can truly officiate at weddings too. This stands in contrast to the ministers of protestant faiths, who are not validly ordained in the eyes of the Catholic Church. Since the Church doesn’t consider them to be clergy in the Catholic sense of the term, it follows that they have no more authority to officiate at the wedding of a Catholic than any lay-person does! This is, in short, why the Church recognizes the marriage of a Catholic in an Orthodox wedding ceremony, but not the marriage of a Catholic in (say) a Presbyterian or Episcopal one. [t]hese [Orthodox] Churches, although separated from us, possess true sacraments, above all by apostolic succession, the priesthood and the Eucharist, whereby they are linked with us in closest intimacy (UR 15). But the 1917 Code of Canon Law, which was still in force at the time this decree was issued, didn’t jibe with this understanding when it came to the marriages of Catholics. On the contrary, the former canon 1099.1 n. 3 specifically noted that canonical form had to be observed in Catholic-Orthodox weddings. Under the old law, therefore, if a Catholic married an Orthodox in an Orthodox ceremony, with no dispensation, the Catholic Church considered the marriage invalid. [o]ur Holy Father Paul VI… graciously permits that everywhere on earth, in order to prevent invalid marriages between faithful of the Latin rite and faithful Christian non-Catholics of the Oriental rite, in order to provide for the firmness and holiness of marriage, and to encourage charity more and more between faithful Catholics and faithful Oriental non-Catholics, whenever Catholics… contract marriages with faithful non-Catholic Orientals, the canonical form of celebration for these marriages is of obligation only for liceity; for validity, the presence of a sacred minister is sufficient; observing the other requirements of law. With this decree, Catholic theology and canon law became consistent on this issue. When the current Code of Canon Law was promulgated by Pope John Paul II in 1983, it naturally took this decree into account. This explains why the current canon 1127.1, mentioned above, has no counterpart in the previous code: the new canon is based, not on the 1917 code, but on Crescens matrimoniorum. It should be clear by this point that the priest who advised Emma’s sister that her marriage in a Greek Orthodox wedding ceremony was not invalid, was completely correct! So long as the marriage took place after 1967, it was “just” an illicit marriage, not an invalid one. In other words, the wedding was illegal under canon law, since Emma’s Catholic sister shouldn’t have married in an Orthodox ceremony without first obtaining a dispensation; but the fact remains that she is truly married in the eyes of the Catholic Church. It’s entirely possible, however, that the marriage could eventually be found null for some other reason. There may, for example, have been a defect of consent on the part of one or both of the spouses (see “Marriage and Annulment” for more on the significance of matrimonial consent). This is no doubt why Emma’s pastor indicated that if she wants an annulment, she will have to “find other grounds.” Again, this priest has provided information which is totally accurate. As we’ve seen countless times before in this space, canon law follows theology. In this particular case, when the Church finally articulated its theological position regarding the status of the Orthodox Church, the logical fallout entailed a change in canon law. Superficially, the law may seem arbitrary or inconsistent to one who is ignorant of the theological rationale that undergirds it—but in actual fact, once the theology is understood, the reasonableness of the corresponding law becomes clear. This entry was posted in Canonical Issues Involving Non-Catholics, Marriage and tagged canon law, Catholic, marriage, Orthodox, wedding. Bookmark the permalink.